As the Band became bigger and busier it became too great a task for John Reed to be the Band’s conductor, arranger and unofficial musical director as well as playing brass bass in the Band. All the Band's activities were carried out in John's spare time, in addition to his full-time professional role as a teacher. 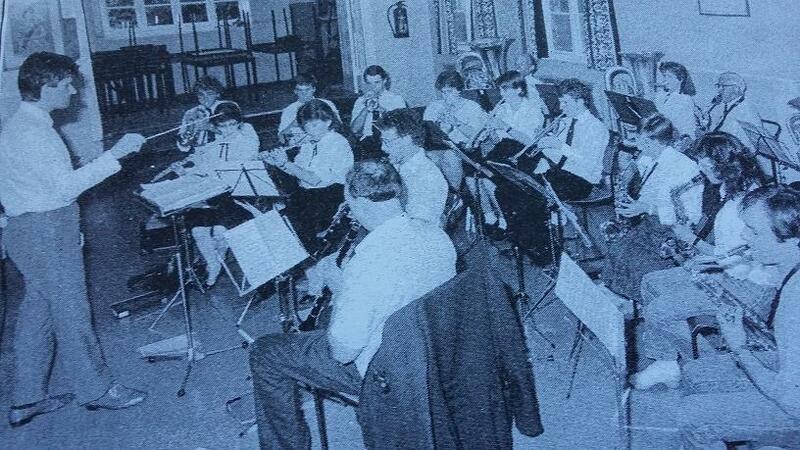 As a result, in 1981 John Groves - a teaching colleague of John's - became the Band’s new conductor. Under John Groves the Band continued to grow in size and popularity, and was soon playing in a variety of venues in and around Slinfold. 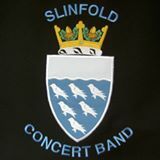 In 1984 a decision was made to change the Band’s name to one which more accurately reflected the Band’s instrumentation, and Slinfold Brass became Slinfold Concert Band. In 1985 the Band achieved international status by performing in Lage in Germany, one of the towns with which Horsham is twinned, and this was followed by a visit to Horsham’s other twin, St. Maixent l’Ecole in France. Quite a leap from the Reeds’ dining room! John Groves conducted the Band for ten years, and his final concert was at the Capitol, Horsham in 1991.